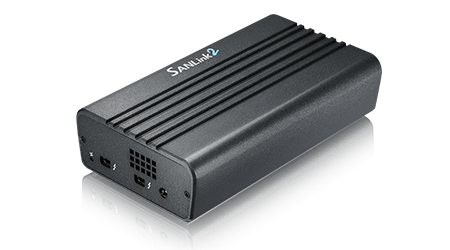 The new SANLink2 16G FC is a compact device that allows a Thunderbolt™ 2 host computer to directly connect to a Fibre Channel SAN, doubling the speed of the previous generation 8G FC. 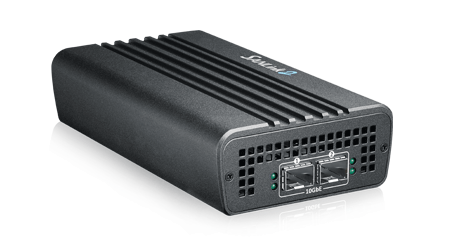 SANLink2 10GBase-T connects devices to the local network to access shared media, and SANLink2 10G SFP+ connects devices to the network via optical for remote branches and offices at distances greater than 100 meters. All at blazing speeds. Downloading footage from today’s data-hungry cameras is one of the major challenges facing production companies these days. Take for example the Phantom Flex 4K camera. 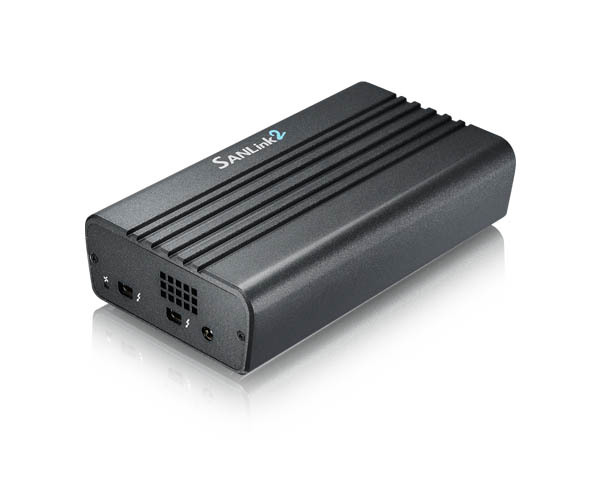 It transfers data to a Phantom 10 Gb/s CineStation effortlessly, so that it can continue in an on-set shoot.The CineStation can be connected directly at 10 Gb Ethernet speeds to a MacBook Pro with SANLink2 10GBase-T (copper) or 10G SFP+ (optical). 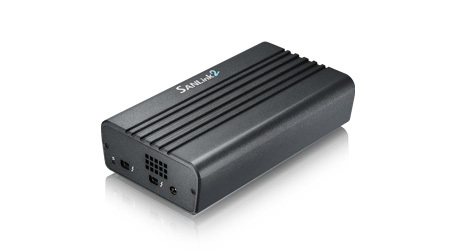 At the same time, this MacBook Pro can have a Pegasus2 M4 SSD attached via a SANLink2 16G FC for the fastest data transfer of over 1300 MB/s - for editing off multi-cameras capturing different points of view. 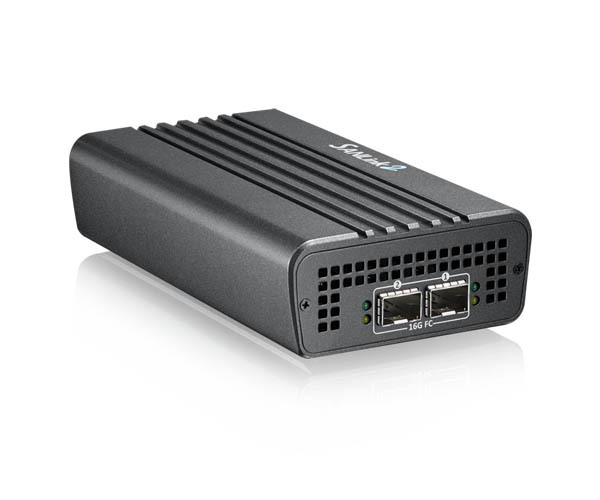 The SANLink2 16G FC can connect this remote set up to a VTrak A-Class for collaborative editing.Similarly, SANLink2 10GBase-T might be selected if cabling for an immediate datacenter is within 30 - 100 meters. 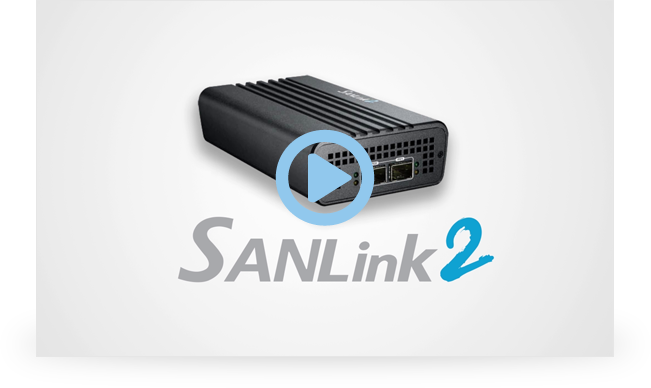 For companies that require cabling to reach beyond 100 meters, the SANLink2 10G SFP+ is the ideal choice. 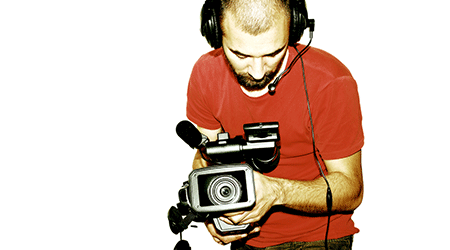 Real-time editing of multimedia files in their native, uncompressed formats has persisted as a challenge for creative professionals. Fortunately, with SANLink2, costly rendering time (due to proxy editing) is eliminated. 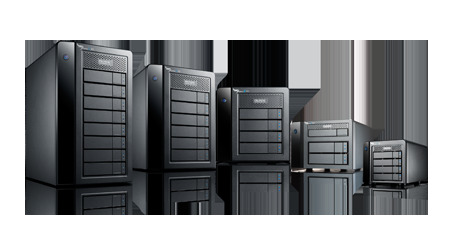 Gain access to low-latency, high-bandwidth storage through reduced file loading periods. Instantaneous response times during timeline scrubbing and faster media file transfers will become your new standard! At the moment high-speed transfer capabilities are placed into the workplace, systems evolve. 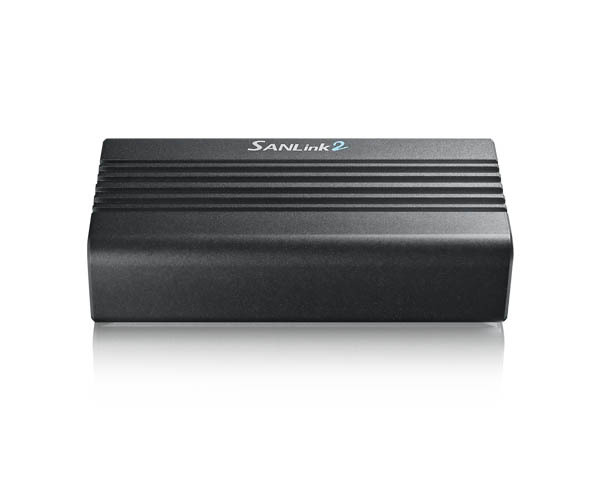 With SANLink2, all storage bottlenecks for desktop and portable computing systems are immediately alleviated through the introduction of Fibre Channel or 10 Gb Ethernet connectivity into the work process. 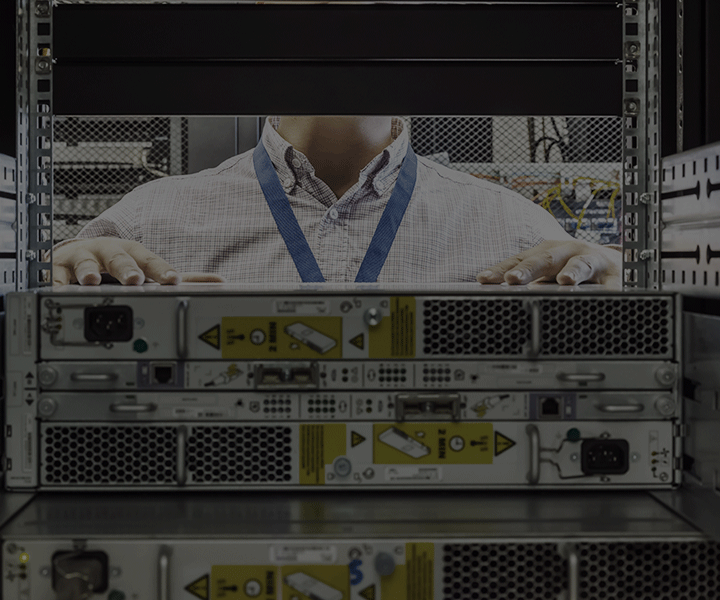 4K (Ultra HD) environments consisting of bandwidth-hogging post-production and broadcasting operations now become seamless workflows, where downtime simply ceases to exist. 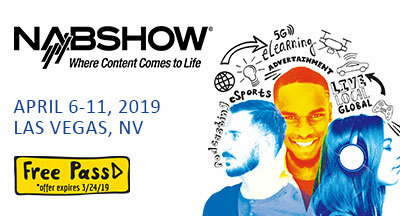 PROMISE Technology Inc., a recognized global leader in the storage industry, announced that it will be highlighting its portfolio of storage solutions supporting the entire rich media workflow, from ingest and editing to delivery and long term archiving, at the 2015 IBC Show in Amsterdam, from September 11-15 (hall 6, booth C10/11).